Welcome to Krumsee Construction your home renovation experts, from a simple remodel to building your dream home our experience and attention to detail can make your renovation dreams reality. Below are some of the services we can provide for you. We're here for you with a team you can trust – professionals with the talent and expertise to handle every aspect of your home remodel from concept, design, construction, and completion. MG Bros Construction, Inc. was created by Grzegorz (Greg) Kawula in 2004. We provide the skill and high-quality craftsmanship that comes with 20 years of experience. The team at MG Bros Construction, Inc. works to understand your dreams and turn them into a reality. If you are ready, we are a leading provider of contract services for new homes, home additions, kitchens, bathrooms, basements, renovations, remodeling, windows, siding, and any other carpentry work. Give us a call today at (630) 559-7070." Services Provided maybe something like "MG Brothers Construction Inc is specialist of home remodeling and new home construction in Chicago. We provide services in suburbs area of Chicago from design to completion at the affordable price. New home, home addition, remodeling, kitchen, bathroom, basement, windows, siding, carpentry work, ... we do it all." The owner of MG Bros Construction Inc- Greg Kawula was awarded the 40 under 40 in the 2018 Professional Builder's Magazine. Brökar Painting and Remodeling Inc.
Brökar Painting and Remodeling Inc was born in 2009 although the experience within is that of 20+ years. Brökar pushes to exceed your expectations with professional service & customer satisfaction. "Our Quality Will Exceed Your Expectations" Since 1988, Warner’s Decking Inc. has been a leader in the composite decking installation industry. Owner Chris Warner has been in the construction industry since the 1980's and has years of experience in a variety of different projects, such as framing and trimming houses, installing cabinets, building decks, remodeling homes, general contracting and building new homes . 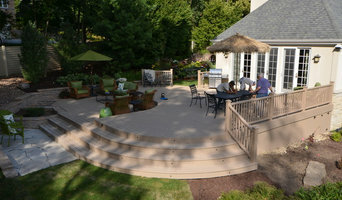 Warner's Decking is well known in the Deck and Remodeling industry in the Chicagoland area. We are ready to serve all of your needs. If you're looking for a contractor you can trust, from whom you can expect the best quality work and be worry free during the course of your project - Warner's Decking is the contractor for you. We specialize in Low Maintenance Trex and TimberTech Decks, basement remodeling, house remodeling, building additions and more. Contact Warner's Decking today at (630) 420-1940 or by visiting our website www.warnersdecking.com We are proud of being one of the first Trex Pro Platinum Contractors in the US. This status was given to us by Trex Company, Inc in May 2004. 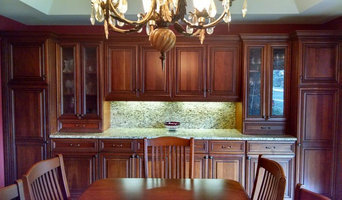 Your premier choice for kitchen and bath remodeling. Whether it’s a getaway bathroom or an extraordinary new kitchen, Galaxie’s team has the expertise to get your job done on time and on budget. Our goal is to help you design & build a home that works with your family’s lifestyle & budget demands. We have a firm commitment to provide quality customer service & a superior finished product. Bathrooms, kitchens, basements, garages - 123 Remodeling can build it, fix it, or update any home or condo. 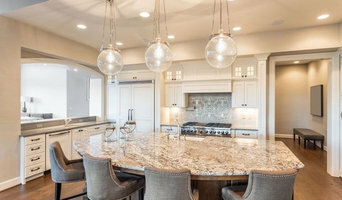 Browse 123Remodeling.com for the latest information about construction, remodeling and home improvement or feel free to view some of the recently completed projects across Chicago and the surrounding suburbs. Chicago Remodeling - Licensed & Insured - General Contractor We only use licensed plumbers, electricians, hvac and concrete professionals. Are you considering a new home or remodeling? Do you have a reliable contractor to work with? Nottingham Builders, Inc. has been the choice expert in the northwest suburbs of Chicago for 30+ years. Hyland Homes builds new homes, renovates existing homes, and is a consultant on budgeting and market value of proposed projects in the Chicago area. Brent Hyland is a General Contractor and also a Real Estate Broker, which in turn can help you make your most important decisions your best decisions. Serving the Chicago area for over 30 years, Bob Marzano is your go to for any home remodels or additions. He specializes in kitchens, baths and basements and can make your dream a reality! Barts Remodeling & Construction, Inc.
We understand that our customers are our greatest assets, which is why it is our goal to provide the best customer service in the industry. Excellent customer service, combined with the highest quality work, has kept us in business for decades, and we plan to continue to exceed our customers’ expectations. MG Brothers Construction Inc was created by Grzegorz (Greg) Kawula in 2004. We provide the skill and high quality craftsmanship that comes with 20 years of experience. We build beautiful spaces that fit your lifestyle and are within budget. Welcome Home, Northwest Suburbs. 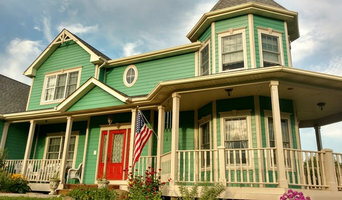 Welcome to B & C Enterprises, a family owned design-build firm working in both the commercial and residential markets. We evaluate every project with the best possible value in mind for our clients. We excel at a variety of residential remodeling projects from Kitchens and Baths, Additions and Whole-House Renovations, Tear Downs with New Construction, as well as stunning Basements. With over 20 years of experience in completing high-quality residential design and construction projects, our team at Fredenhagen Remodel & Design is ready to make your dream home a reality! We work diligently with our customers to bring their visions to reality. From custom art pieces to full house remodels, our team will create amazing designs and provide the craftsmanship to see it through. Our team takes great pride in exceeding our customers expectations, starting with a consistently clean job site, to staying on schedule and budget including innovative home solutions and technology. Please contact us for a free home renovation consultation. We'll be happy to meet with you to discuss your wish list and develop a timeline. Excellent customer service, combined with the highest quality work, has kept us in business for decades, and we plan to continue to exceed our customers’ expectations. Fricano Construction Company provides General Contracting and complete Architectural Woodwork services for residential, commercial, hospitality, and institutional building projects in and around the Chicago area. We were established in 1988 by Nunzio Fricano and our services and capabilities have grown from completing small renovations and hand-making a few custom cabinets to providing full general contracting or millwork services. Fricano Construction focuses on high quality craftsmanship and building strong relationships with our clients. We have outfitted our millwork shop with high quality European millwork equipment (including CNC machine center) and water-borne, environmentally friendly finishing products. I would like to invite you to view our recent work via our website at: www.fricanoconstruction.com. Please contact us about any of your current and future projects - we are happy to provide full-service general contracting services and/or to provide just cabinetry and millwork for your project. We believe that no job is truly too small or too large. We hope to hear from you soon and look forward to working with you. If you’re looking for a sunroom, room addition, Bathroom remodeling, you’ll love the final product the Envy team will deliver for you. With a focus on personalized service, we’ll design the space and complete the final touches as if it’s our own home. A family-owned, local company, we’ll go the extra mile to earn your business. Our entire foundation is built on a legacy of providing you with a deeply satisfying sales and customer service experience to insure that you know you made the right choice. It’s no wonder that Envy Home Services was chosen to be the exclusive dealer of Betterliving Products in Northern Illinois. Building a new home, adding a room, or just sprucing up the kitchen can be exciting, but the day to day hassles of construction are stressful and better left to the contractors. A civil engineer or contractor in Elk Grove Village, IL will manage all aspects of the job to ensure it's completed on schedule and to your satisfaction. Trying to find building contractors in Elk Grove Village, IL for a new construction, or a renovation contractor to spruce up your existing place can be a task, start by understanding their role in the project. Read more below for a list of must-ask questions. Why should I hire a contractor or civil engineer in Elk Grove Village, IL? Civil engineers or building contractors, often play the role of a project manager. They oversee the entire remodeling or new home construction project and facilitate all day-to-day tasks that move it toward completion. Construction contractors can be involved from an early stage and can work closely with the architect to review plans, arrange for permits and inspections etc. In addition, Elk Grove Village, IL general contractors are responsible for hiring subcontractors for the majority of jobs, such as electrical work, painting or plumbing. Most importantly, contractors should be on-site regularly to inspect the progress and resolve issues and track progress. Civil engineer companies play a very important role in construction and renovation. Finding the right contract is key to building your dream home. How do I find a good contractor in Elk Grove Village, IL? Finding a dedicated contractor to build or renovate your home can be a challenge. Choosing the wrong contractor can lead to delays, bad quality of work and even legal problems. To avoid such problems, it's essential that you do your homework before deciding on the right general contractor. Research civil engineers and contractors in Elk Grove Village, IL on Houzz, look through their work and read reviews to understand their style before you reach out to them for bid or quotes. One you have narrowed down your choices, meet with them to discuss a few aspects like the details of your project, the budget and the timelines. Also, always insist on having a written agreement before getting started on the project. How long have you been in the civil engineering or contract business? Are there any concerns you foresee with this project? Can I see samples of the materials? How long will you need to complete the project? Find a good Elk Grove Village, IL contractor or civil engineer on Houzz. Narrow your search in the Find Pros section of the website to contractors. You can also search for photos and contact the contractor who worked on the project.